Please use the contact form at the bottom of the page for more information and prices of James' work. 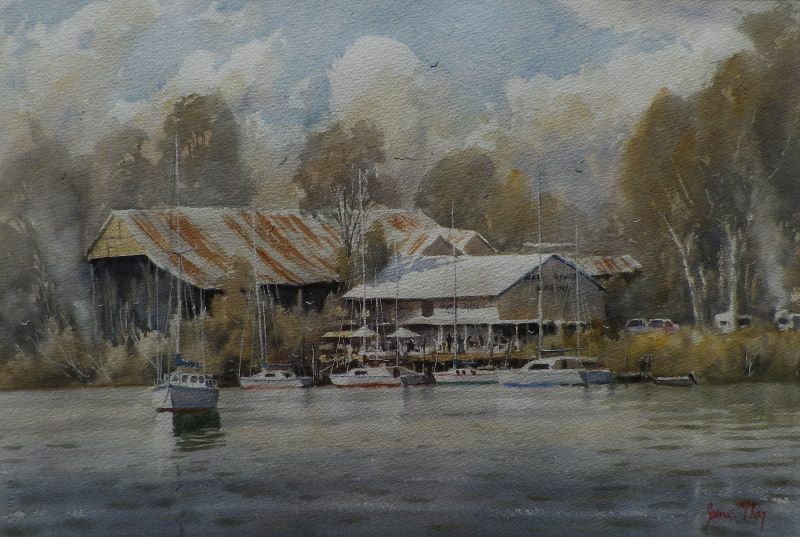 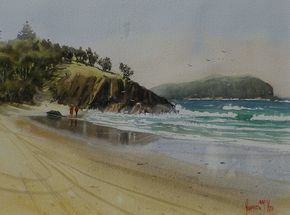 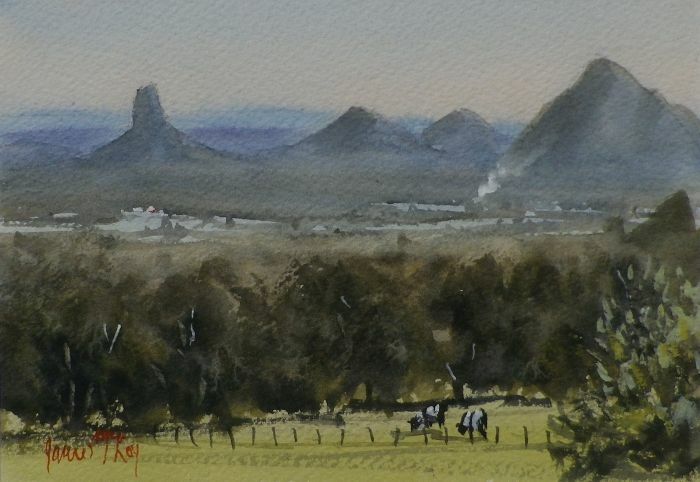 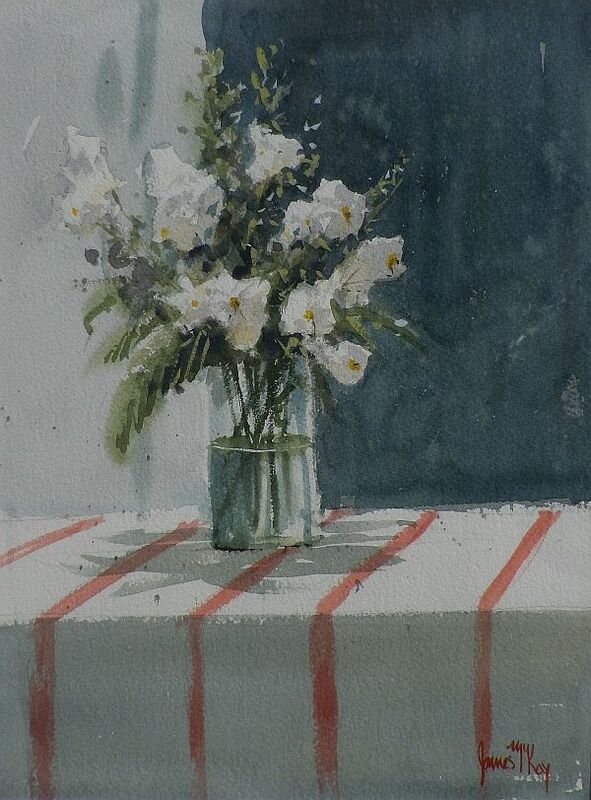 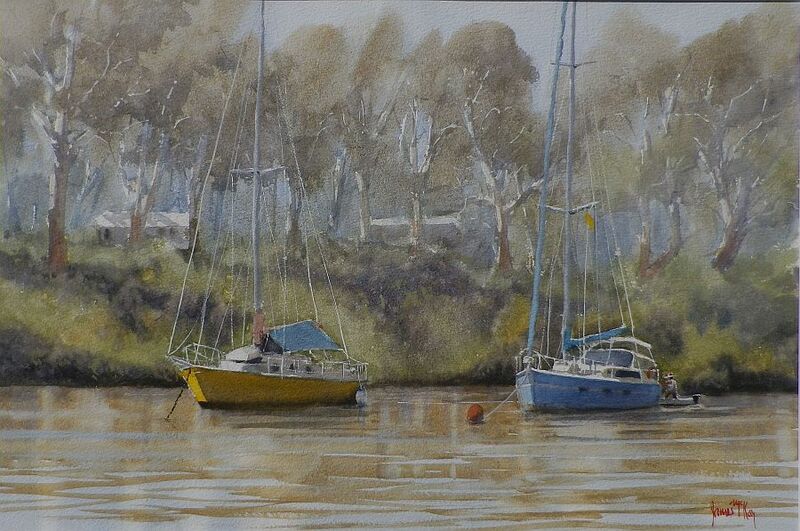 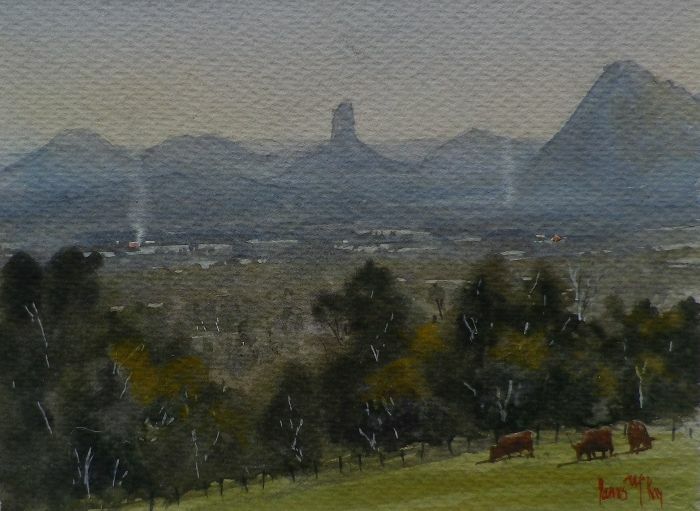 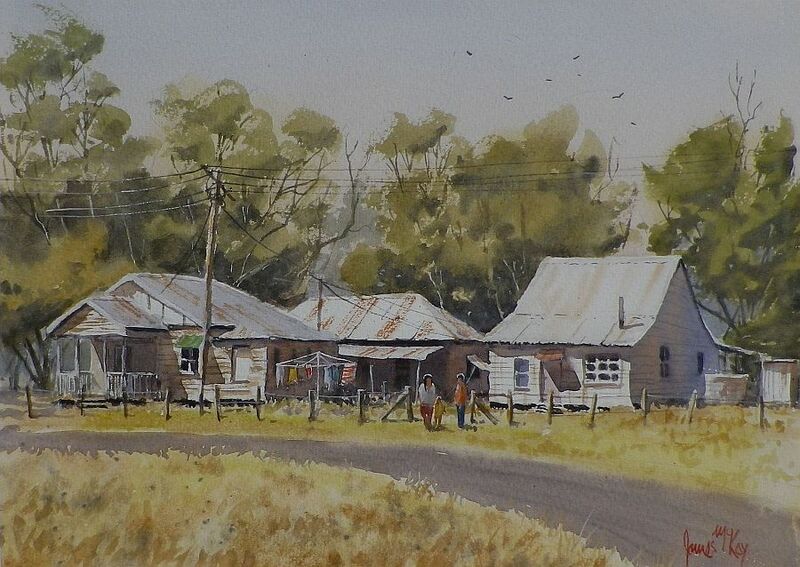 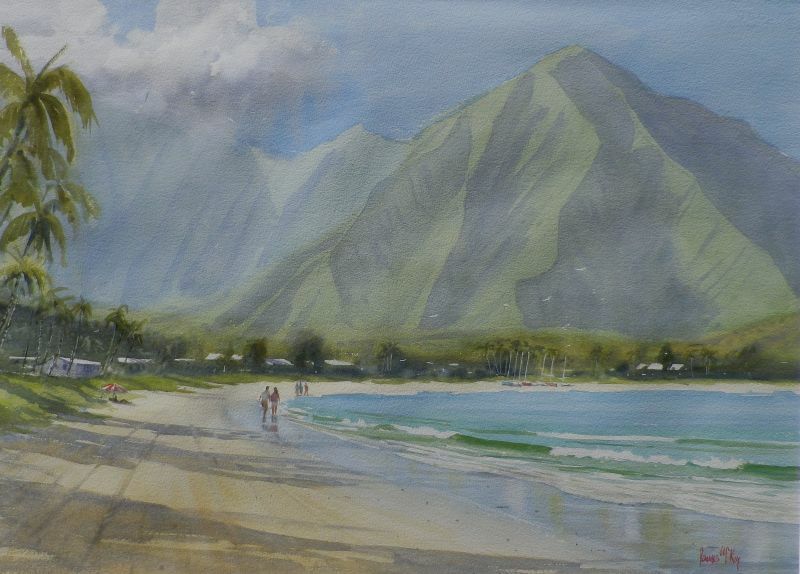 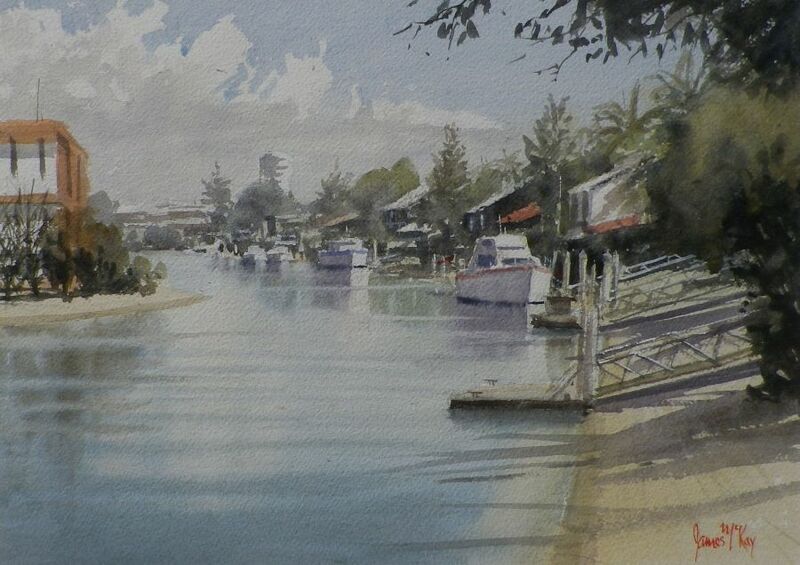 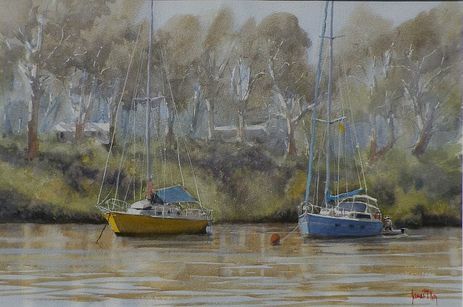 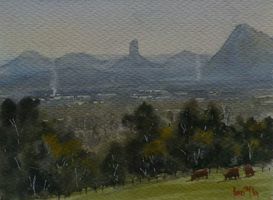 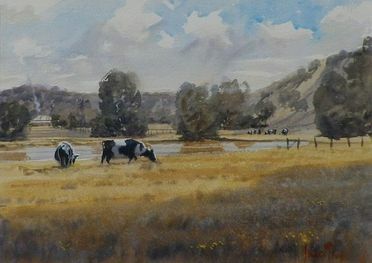 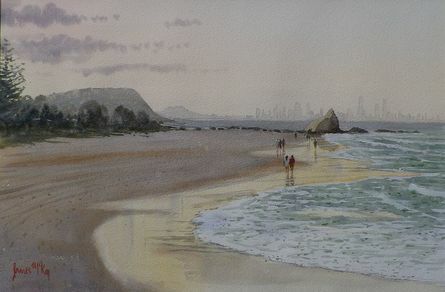 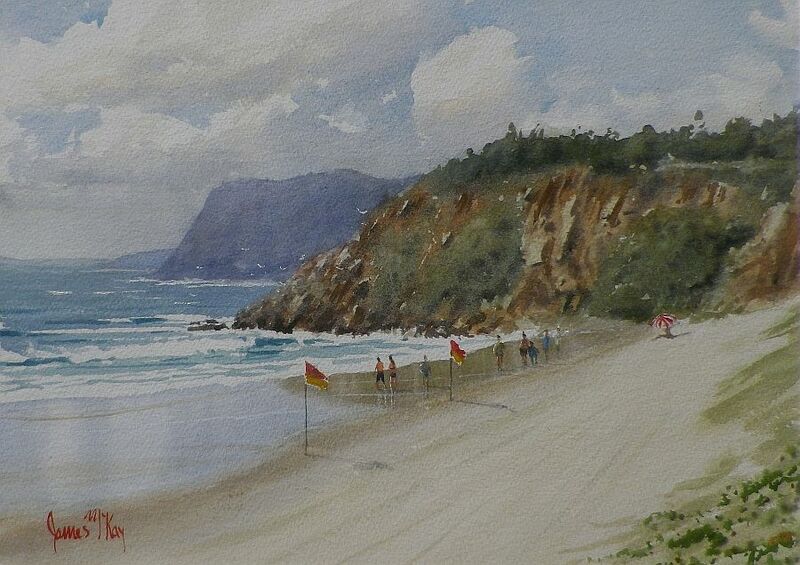 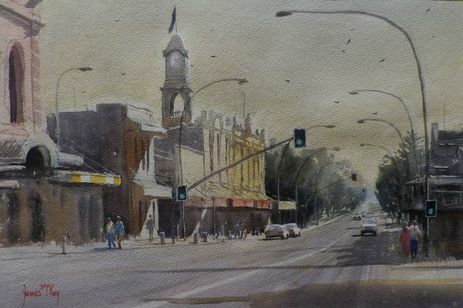 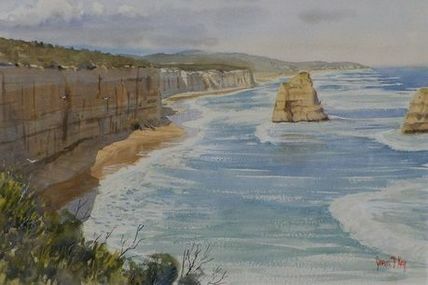 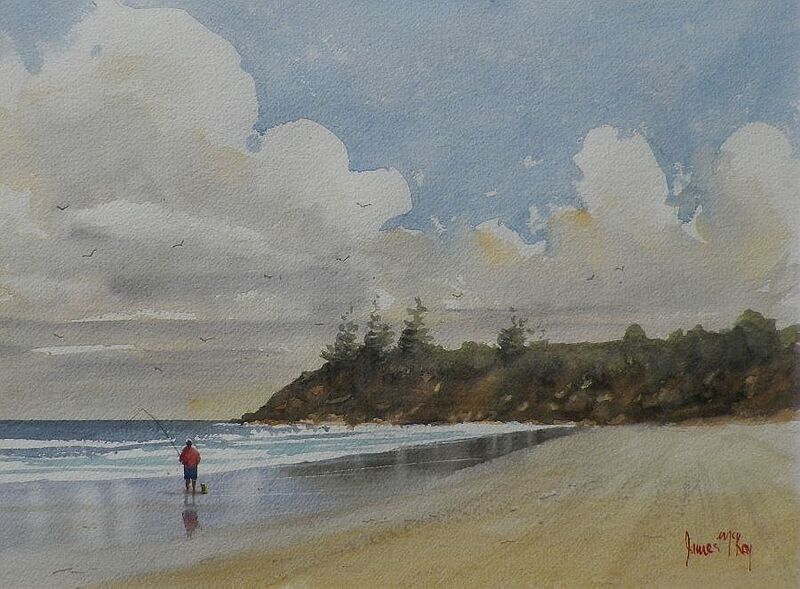 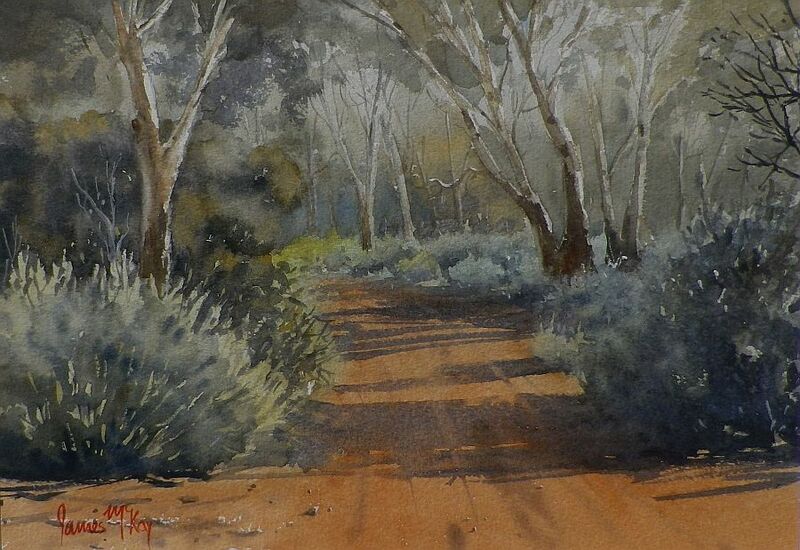 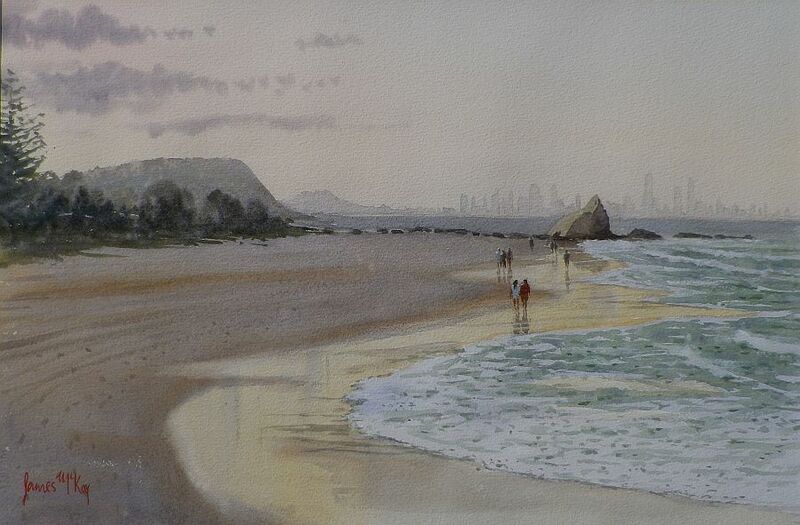 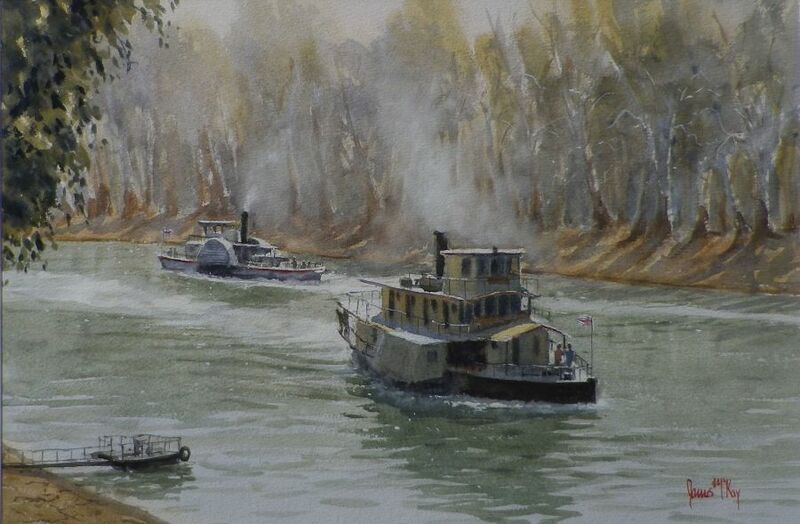 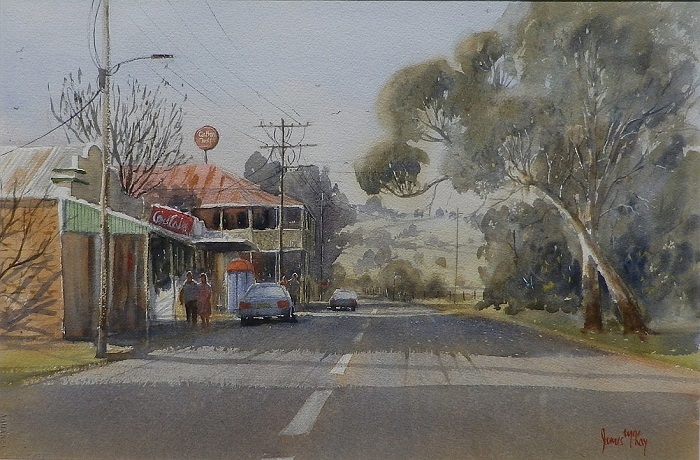 James has been painting in watercolour for over 25 years and has been exhibiting in galleries throughout Australia and Southern Africa for the last 10 years.He has won a number of awards in and around South East Queensland and has been teaching and holding workshops for the last 10 years. 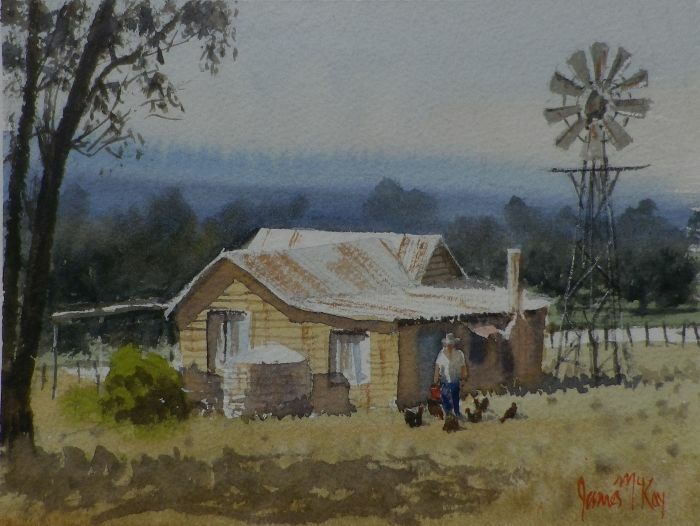 There is something about the Australian rural landscape that he finds particularly captivating. 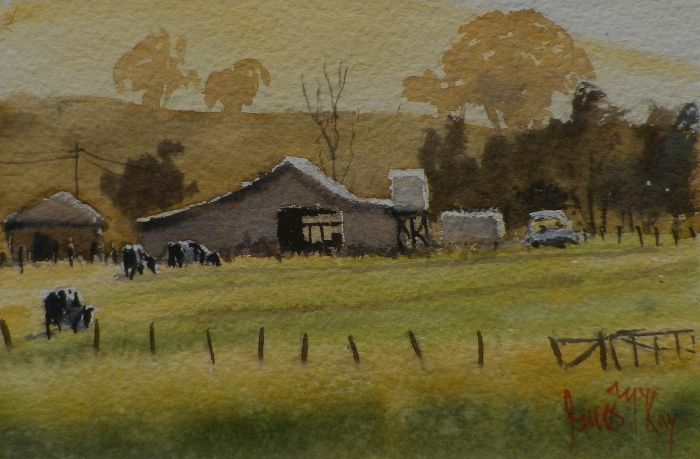 "l find the play of light on old fences, gum trees, old sheds and livestock quite irresistible'. 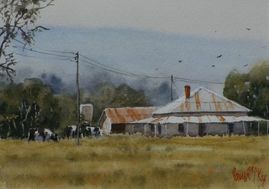 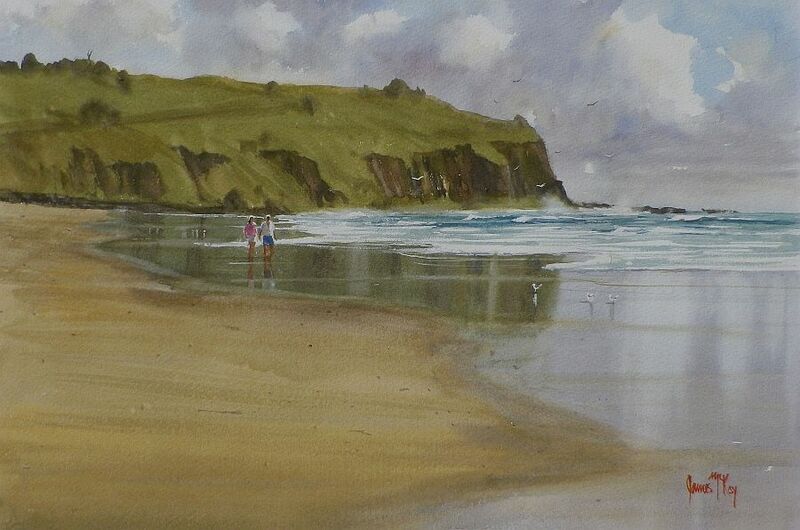 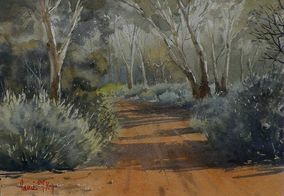 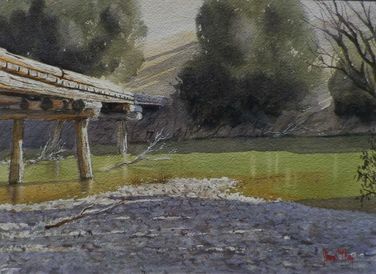 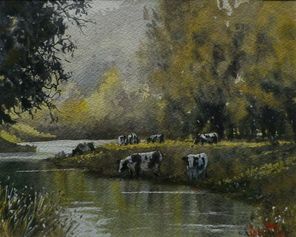 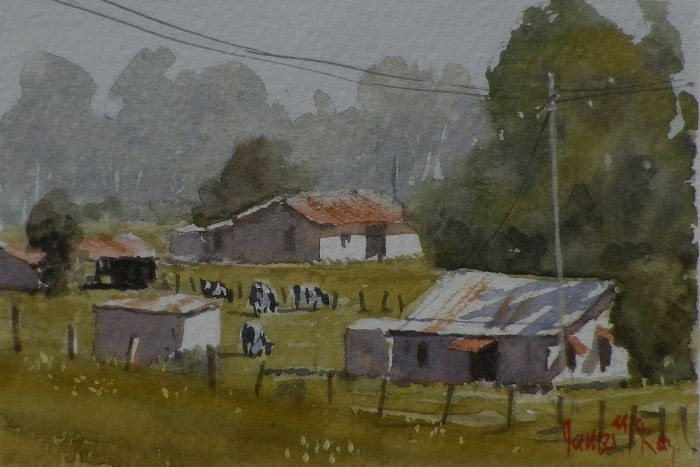 He paints loosely in watercolour using wet into wet techniques "the faster I work the more feeling the painting has". 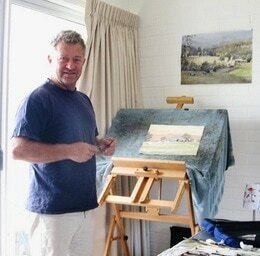 He doesn't paint to sell but more what catches his eye or portrays the feeling of a scene. 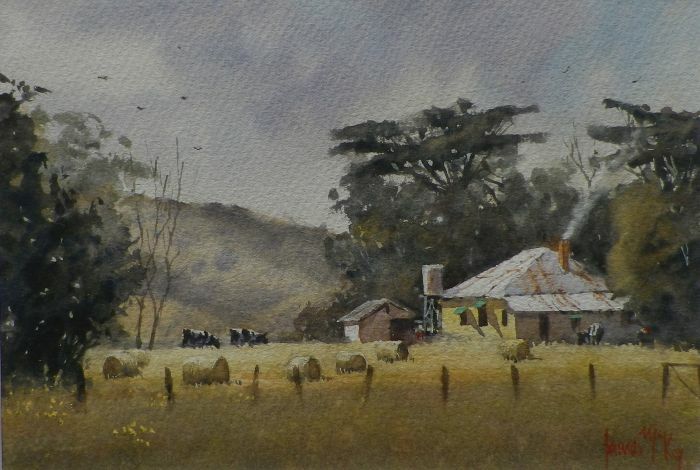 Having lived most of his life on a farm he feels a deep connection with the land and nature. 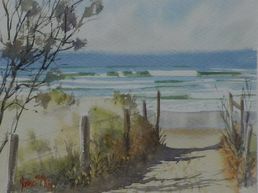 He loves to share his love of painting with others and has always started and run painting groups wherever he has spent any time. Please use this contact form for more information and prices of James' work.